The birth of my first daughter, Mia, in 2010 was traumatic – a long, long labour, being rushed into theatre for an emergency forceps delivery, then an interminable, painful recovery period. The whole thing left me emotionally and physically scarred. Imagine, if you will, running a marathon for two days, while being beaten up, then chucking your fanny into a blender. 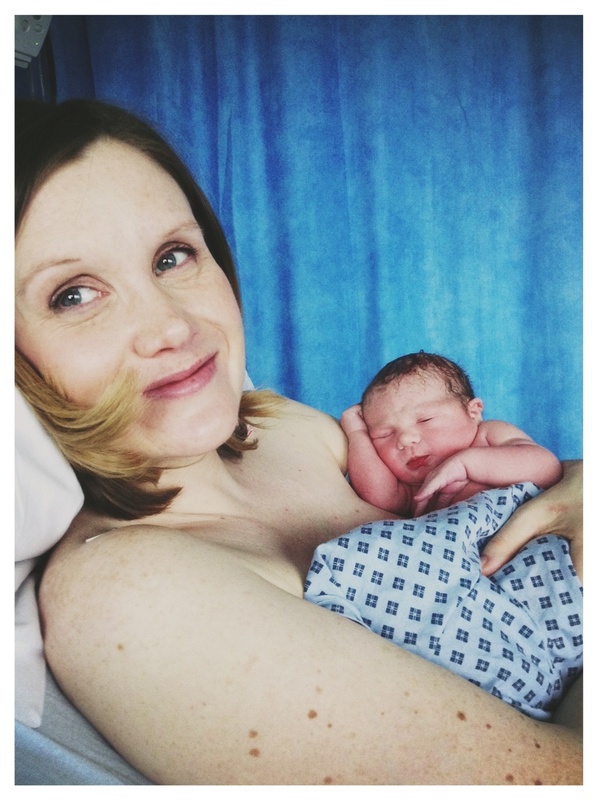 And so, when I got pregnant again two years later, the first thing I announced at my midwife appointment was: ‘This time, I am having a Caesarean’. Requesting major surgery may seem masochistic, but for me it was the only way that baby was going to come out. With Mia, I had done all the ‘right things’ to prepare for a natural birth – yoga, ante-natal classes, I’d read every book going. I was going to breathe the baby out with just gas and air to take the edge off – oooh, maybe even under water! – then go home the next day. Instead, I found myself in a very scary situation completely beyond my control. I live in England, where we are incredibly lucky to have the National Health Service. However, the NHS doesn’t just hand out Caesareans to anyone without good reason, and neither should it. If every first-time mother was given the option, I imagine many would opt to have their baby whisked out via the sun-roof and avoid the ridiculous agony of contractions. I had some convincing to do. My community midwife remembered me from the last time (she examined me weeks after giving birth and actually winced – this is a woman who has been up close and personal with ladygardens for the best part of three decades, so mine must have been in ribbons). She felt I had made the right choice. Despite her support, I had to then discuss my labour story with another midwife/counsellor (more trauma) in order to get referral to a consultant, who I then had to also convince I would settle for nothing less than a C-section. Gallons of tears later, I was finally given a date for the operation. The day of Sylvie’s birth was incredible and every detail is seared on my memory. My husband and I jumped on the bus, headed to the labour ward and casually announced I was there to, you know, have a baby. In the distance, I could hear the howling of women in labour, and I felt like such a cheat. For the couple of hours while we waited, I wondered why should I get special treatment, when metres away women were doing it the ‘right way’. But when I walked into the very same operating theatre where Mia had been pulled out under such stressful circumstances, I mentally patted myself on the back for sticking to my guns. The spinal went in and I lay down, and straightaway started to feel weightless, like I was floating in warm melted chocolate. (I don’t know what’s in that stuff but there are days now where I’d be happy to take it recreationally – that and pethidine.) The anaesthetist sat by my head on one side (my husband on the other) and she talked me through what was happening. And everything happened so fast. ‘The incision is being made. Ok, here comes one shoulder. And … another shoulder … the head is out. 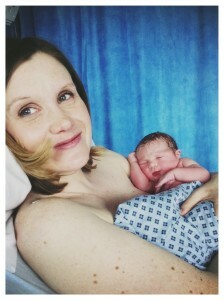 HERE’S BABY!’ And when the surgeon lifted Sylvie up, she cried and so did my husband and I. My decision to have a C-section is the best I’ve ever made. When Mia was born, I was scared and exhausted to the point of hallucination. I didn’t feel much when they handed her to me, apart from ‘oh she’s cute … can I please have a can of Coke and a sleep now?’ But with Sylvie’s birth, I remember every detail with such clarity. I felt that longed-for rush of euphoria – I fell in love, movie-style – which I hadn’t experienced with Mia. And another huge positive was that my husband felt so included in the whole experience. He sat there beside me, the staff included him in every conversation we had that morning, and he was the first to hold Sylvie. With Mia’s birth, he was so terrified at the speed with which I had gone from trying to push her out to being whisked into theatre, he nearly passed out. The reason I wanted to share my birth story is because I want to reassure women that opting for a C-section, or being told you need an elective section, is not the cheat’s or loser’s option. I really don’t like the term ‘natural birth’ when referring solely to vaginal deliveries, as for me my C-section felt entirely natural. I am so glad I gave birth this way – it helped me to draw a line underneath Mia’s birth, and I hope anyone nervous – indeed, unhappy – about a pending elective section can console themselves that can they can be really beautiful experiences. This entry was posted in Pregnancy and tagged C-Section, NHS, Raising Ireland, Suzanne Rose on March 10, 2014 by Suzanne Rose.